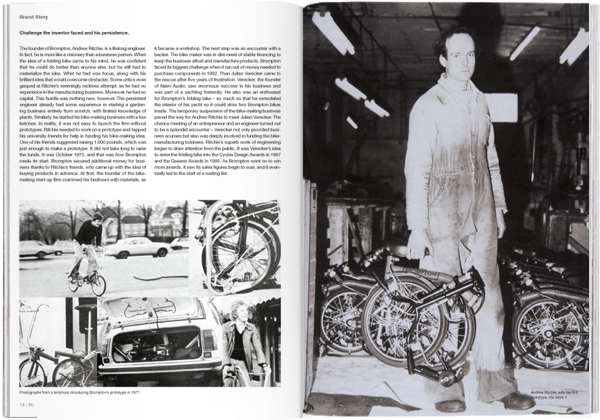 BROMPTON’s folding bike was first introduced by its founder and a lifelong engineer, Andrew Ritchie. The folding bike manufacturer is constantly committed to offering top- of- the-line products that it places “quality” as significant part of its brand identity. Indeed, BROMPTON continues to provide the public with compact, personal transport that ride su- perbly in congested downtown areas. With the fifth issue of magazine B being published now, I receive more questions about why the magazine is not being introduced in digital format. That is understandable because of my previous career (note: the publisher formerly led the marketing and design department for South Korea’s largest internet portal service company, NHN). Of course, I am currently taking the subject matter into serious consideration, but in my personal view, hasty decision-making should not be made solely for the sake of profitability. That is because in publishing this magazine, the sensitivity that derives from how it feels to the touch while turning pages and looking at printed images with different textures and tones from digital devices plays a significant role. I am convinced that the message this magazine intends to deliver is clearly different from internet search engine results, and as long as there are readers who are supportive of this magazine’s viewpoint, the decision-making will be made after slow and steady appraisal of what will be the best decision. 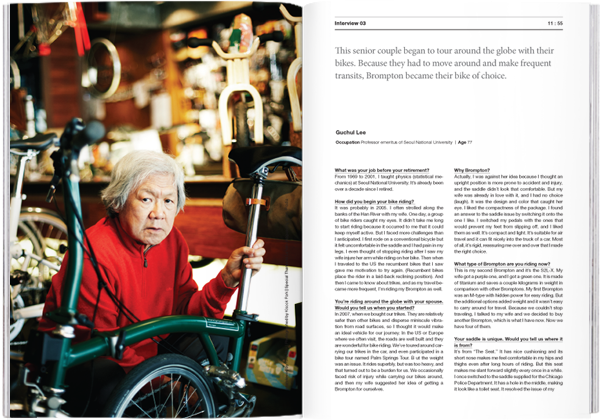 This issue features a bike manufacturer. The activity of bike riding tacitly delivers messages from riders that they are seeking ways to stay fit and curb consumption of fossil fuels at the same time. To that extent, bike riders are perceived as having right ideas and carrying out worthy actions. I often put such product categories in the same realm as organic vegetables or solar energy. However, there is a string attached without style that combines with impressive motivation, it is difficult to attract the public. As such, bikes come as a charming subject to look into. Typically, balance in functionality, design and price is sought by various means to find the so-called right bike. For many city-dwellers leading a busy life and facing spatial limitations in crowded urban areas, their choice could turn out to be “mini velos,” with relatively smaller wheels. This issue covers “Brompton,” the manufacturer of folding mini velos. A Brompton, in its fold, fits nicely into a car trunk and is suitable for a ride on busy urban streets and on country lanes. First, the Brompton folds easily, needing only two steps to achieve its magical compactness, and it makes a fabulous personal transport anywhere. Countless numbers of folding bikes are available in the market place. 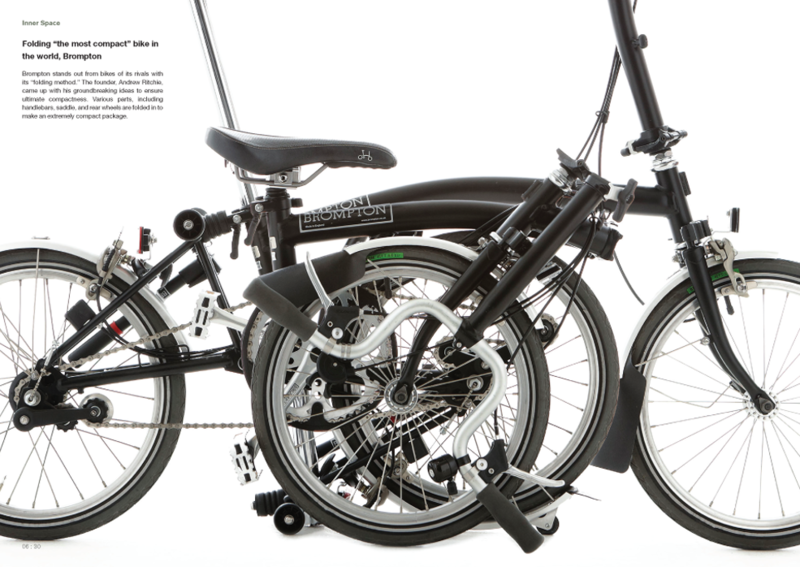 No other bikes, however, can imitate the Brompton’s fold. Its fold is so attractive that it can be recognized even from a distance when parked inside. In addition, the fine-looking compactness is paired with powerful performance. The Brompton World Championship, hosted by the British bike maker itself, clearly implies the folding bike’s riding capability. Second, for the past three decades, Brompton as a brand has been evolving, virtually from one single product range. The bike manufacturer offers customization service to alter color and material according to customer taste and has achieved technological advances throughout its history. 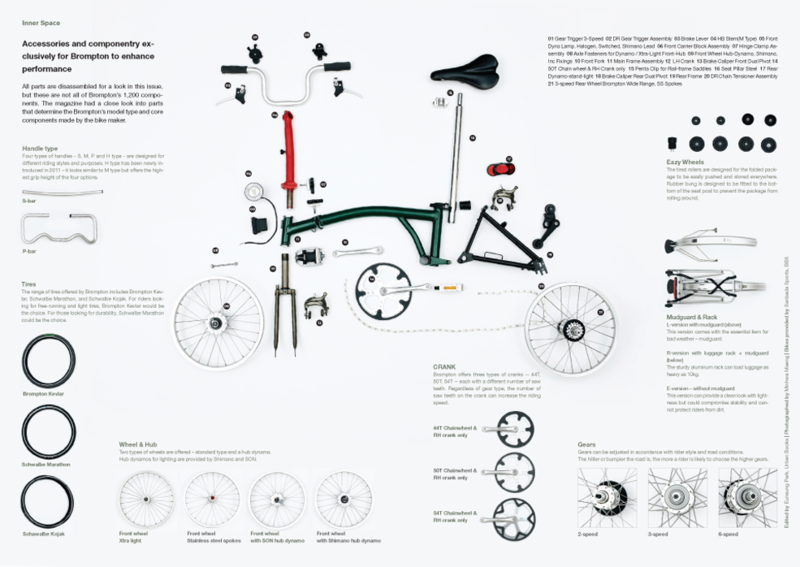 Moreover, Brompton’s unique “folding method,” introduced in its first prototype models, has been continuously implemented across the entire product range, even in its latest model. On the other hand, the majority of Brompton’s accessories and components are provided by independent businesses under partnership with Brompton. Similar to the iPhone, the folding bike maker is creating an ecosystem centered around a certain product range, creating an expanding ecosystem without limits. The Brompton is indeed a personal transport that performs well on crowded downtown streets and folds neatly to carry while taking public transportation. It is such a gorgeous bike that can be customized as well. Along with This magazine, how about taking a closer look at what it feels like to take an easy ride with the elegant-looking Brompton? The warming spring breeze these days is definitely urging many to take a ride. 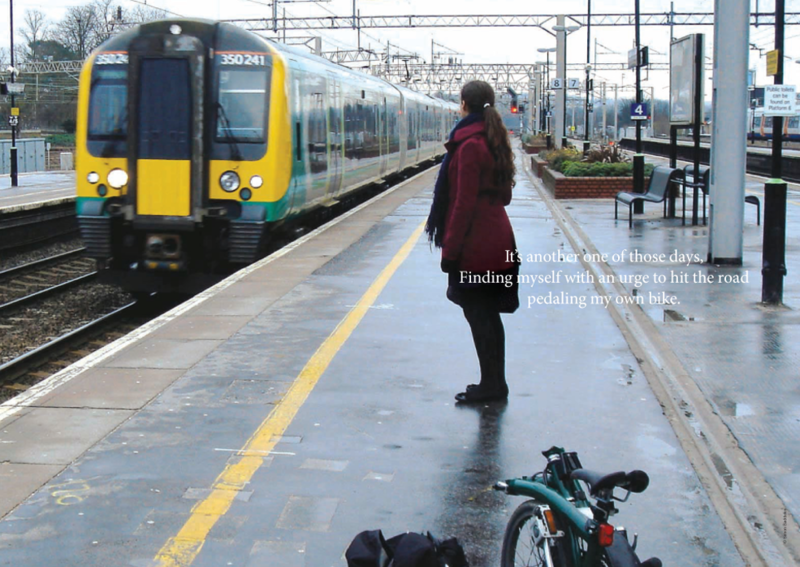 Brompton stems from a novel idea of creating a convenient means of personal transport for city dwellers. Jam-packed roads during rush hours have urged many to look for such a solution. This issue sets out with a narrative in its first section, and an introduction to share the feeling of frustration in traffic jams. Dozens of manufacturers from around the world offer their own folding bike products. The magazine had a close look at them, along with the Brompton, and made a comparison among bikes from four major folding bike makers. This actress enjoys a speedy ride on her road bike for her leisure time. It is practically her first time to pedal a Brompton and she did not hesitate to make a candid comment on it. The keyword “Brompton” drew a wide range of comments from a series of search results. They give some hint at what Brompton riders have on their mind. Video clips were searched from online sources as well. The magazine anticipated the video clips to be dynamic in style, but quite surprisingly, some were found to be serene. The staff members had a close look at how the Brompton “folds neatly,” and what the secret details are that make the folding bike superbly compact. We had opportunities to find out more about Brompton accessories, including Brompton’s brand new Oratory Jacket. 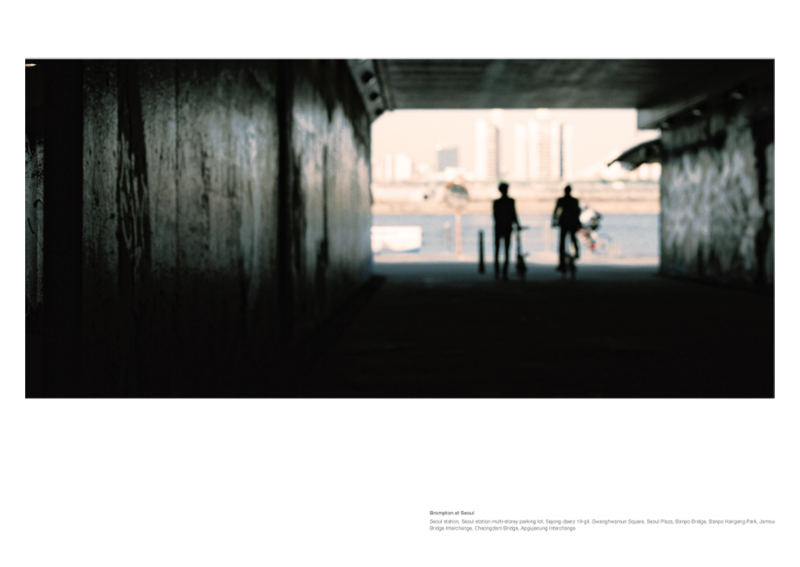 This Korean celebrity illustrator rides his light-yellow colored Brompton. His Brompton is just as uplifting as his work of art. Riders can customize their basic Brompton models to their needs with accessories from numerous manufacturers. Some of them, like Brooks, a globally renowned saddle maker, have become more famous than their client. The Brompton is known to be easy to stow thanks to the compactness of its fold. Our staff members tried the Brompton bike for themselves to see how nicely it is folded and stored in real life. 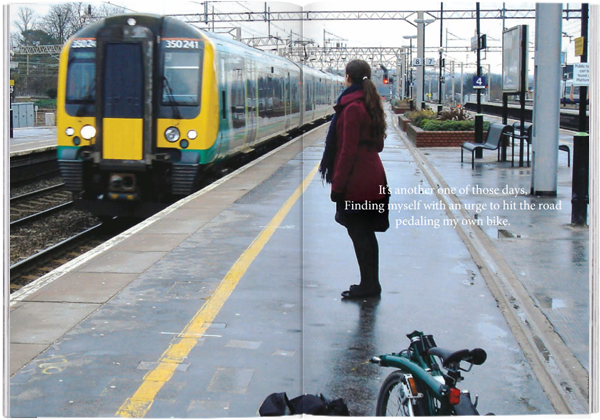 The magazine attempted to take a look at the brand image of Brompton from other angles by asking a number of Brompton riders what kind of bikes they rode previously, and if they did, what other bikes they are looking into. This senior couple is touring around the globe with their Brompton bikes. The couple stressed the importance of portability and durability, and commented that the Brompton is the one that wonderfully balances these two traits. 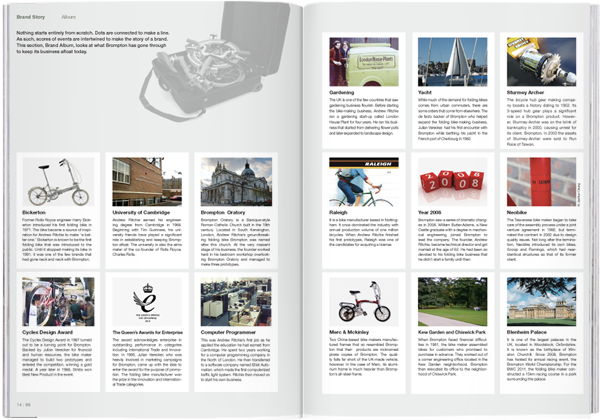 This section features the magazine’s findings about what brand name products Brompton riders have with them during their travels, whether it be ridings for business meetings, shopping, dating, or camping. The Brompton stands out from other folding bikes, not only for its compactness, but also for its powerful performance. This section features a photo essay on a folding bike that rides brilliantly well through alleys, as well as on streets. 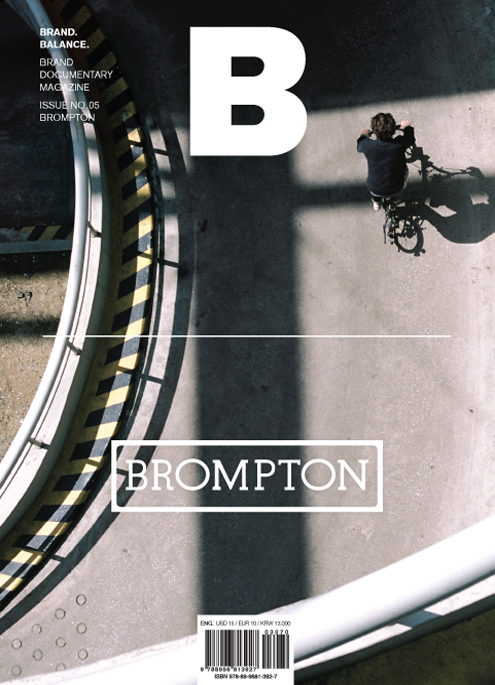 All staff members of the magazine wanted to know more about Brompton. The folding bike maker went through its ups and downs since its first bike was introduced three decades ago, when its founder was forced to shut down business temporarily due to financial difficulties. It was the founder’s devotion to engineering that made Brompton overcome numerous challenges. 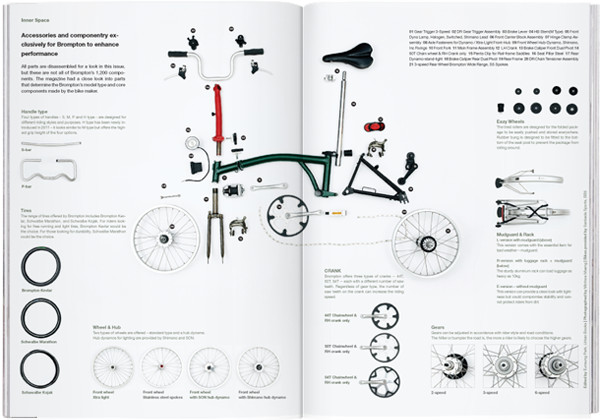 Here is a set of six essential elements that drive Brompton’s bike making business, including stories that reveal what makes a bike a Brompton. Brompton may be a familiar brand name for some, while it can be new to some others. For this magazine’s readers, a number of Brompton riders appearing in this section may hint at the brand image.